We’re just a few days away from Peter Capaldi’s swansong as the Doctor, and Steven Moffat’s final script for the show. Twice Upon A Time is, of course, a regeneration episode, but Doctors Twelve and Thirteen aren’t the only incarnations of the Time Lord to appear. 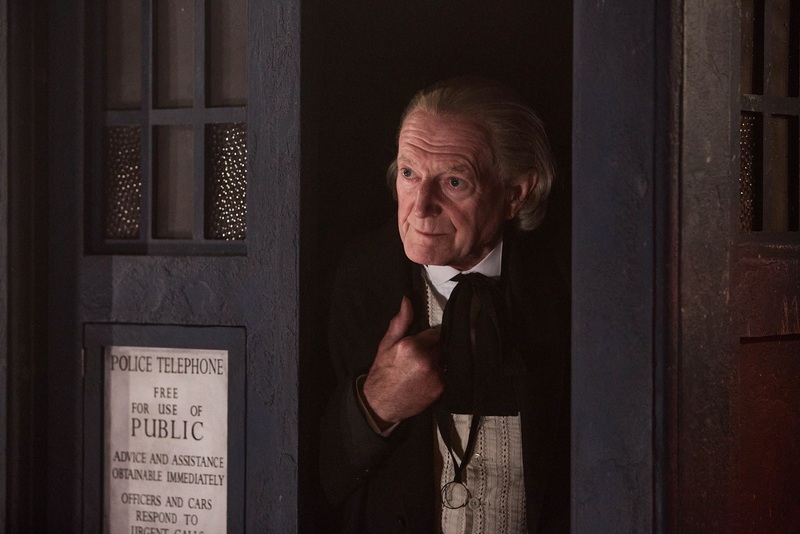 Because as The Doctor Falls revealed, the First Doctor is back, albeit this time played by David Bradley. DB: Well, it all started with An Adventure in Space and Time (the 2013 biopic about the genesis of Doctor Who) a few years ago. Mark Gatiss, who wrote that, tapped me on the shoulder one day at an event in London and asked me to play Hartnell in that, and I was absolutely thrilled. I said yes even before I’d seen a script! Doing that was a great experience but most of it was getting under the skin of this amazing actor and quite complicated man which Mark’s script captured beautifully I thought. After that wrapped, I thought “Well, I’ve done it now. 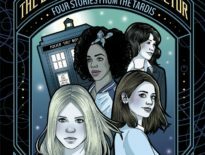 That’s my Doctor Who adventure over”; I’d sort of been the Doctor, but I couldn’t join the pantheon or lay any claim to being ‘a Doctor Who’. And I never thought for a moment there was any reason for the First Doctor to come back to the main series – but it turns out there really was, because what a great story we’ve got in store for you! And the fact that it’s not only Steven’s last gig but Peter’s last performance as the Doctor, combined with the fact it’s the Christmas episode, means that it doesn’t get any better really. 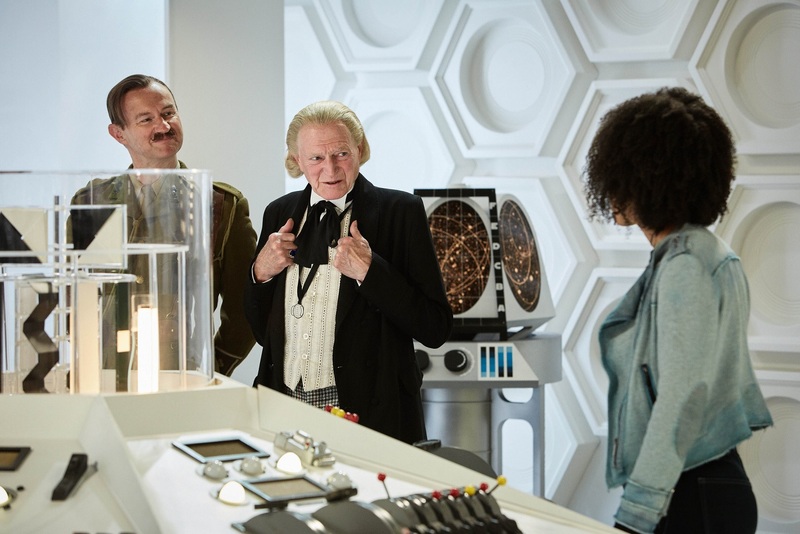 From my previous role as Hartnell playing the Doctor, I was already familiar with that way he would look at someone uneasily – his head tilted back and to one side – with the “Do I believe you or not?” quizzical, searching look that he gives people across his face. And of course his authoritative pose with his hands on his lapels, which makes him feel in charge of things. Though of course sometimes he doesn’t, because he’s a mixture of authority and vulnerability. And together with the humour, that’s where the humanity lies. He’s got so many different aspects to his personality. I think the message is that, if there’s life, there’s hope – just keep going! How did it feel to be part of Peter Capaldi’s final episode as the Doctor? I really did realise that this particular episode was a big event. Not that there was any pressure on the studio floor, but it was clear that it’s going to be a celebration of all the great work Peter has done over the last three years, and that Steven had done over the last decade or so, meaning it felt special in the sense – as well as being special because it’s this year’s big Christmas episode too! I think he views the Twelfth as junior to him and his Doctorship! He thinks this new man claiming to be the Doctor has a lot to learn – he quizzes and questions him a lot on the decisions he makes and why he throws himself into certain situations. 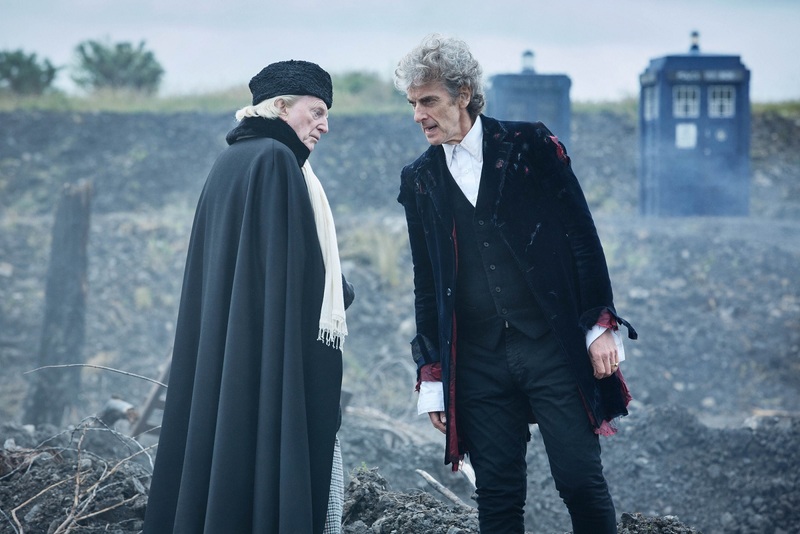 I think the First Doctor really wonders if the Twelfth has got the experience and the nous to carry him through his adventures and dangerous situations. But he soon comes to realise that the Twelfth Doctor is himself as well, so he’s got to acknowledge that this figure who stands before him is who he becomes in the future. Which leads to a whole set of other questions, of course. I think it’s the fact that it takes place in so many different eras and places – the possible stories are limitless! 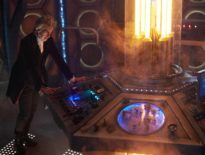 The TARDIS can go anywhere: it can go back to ancient Rome, it can go to a World War One battlefield (as it does in this episode), it can go a million years into the future at the other side of the galaxy. And of course the idea of time travel is such a fascinating and appealing one. Even now scientists are arguing if time travel is even possible. So many want it to be true. Twice Upon A Time airs on Christmas Day on BBC1 at 5:30pm.